Indiana University Press, 9780253347008, 248pp. Judaism's Encounter with American Sports examines how sports entered the lives of American Jewish men and women and how the secular values of sports threatened religious identification and observance. What do Jews do when a society--in this case, a team--"chooses them in," but demands commitments that clash with ancestral ties and practices? 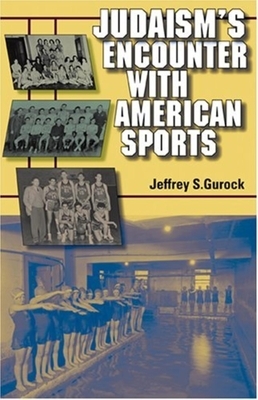 Jeffrey S. Gurock uses the experience of sports to illuminate an important mode of modern Jewish religious conflict and accommodation to America. He considers the defensive strategies American Jewish leaders have employed in response to sports' challenges to identity, such as using temple and synagogue centers, complete with gymnasiums and swimming pools, to attract the athletically inclined to Jewish life. Within the suburban frontiers of post-World War II America, sports-minded modern Orthodox, Conservative, and Reform rabbis competed against one another for the allegiances of Jewish athletes and all other Americanized Jews. In the present day, tensions among Jewish movements are still played out in the sports arena. Today, in a mostly accepting American society, it is easy for sports-minded Jews to assimilate completely, losing all regard for Jewish ties. At the same time, a very tolerant America has enabled Jews to succeed in the sports world, while keeping faith with Jewish traditions. Gurock foregrounds his engaging book against his own experiences as a basketball player, coach, and marathon runner. By using the metaphor of sports, Judaism's Encounter with American Sports underscores the basic religious dilemmas of our day. Jeffrey S. Gurock, Libby M. Klaperman Professor of Jewish History at Yeshiva University, is author or editor of 13 books, including A Modern Heretic and a Traditional Community: Mordecai M. Kaplan, Orthodoxy and American Judaism, which received the Saul Viener Prize from the American Jewish Historical Society. Gurock has served for the past 25 years as assistant men's basketball coach at Yeshiva and has run the New York City Marathon 12 times. He lives in New York City.